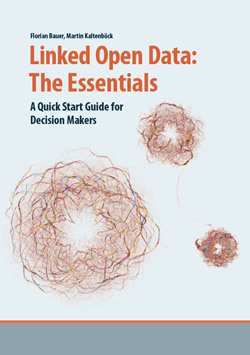 It was my pleasure to contribute to “Linked Open Data: The Essentials – a quick start guide for decision makers” which has been published recently by Semantic Web Company and REEEP. 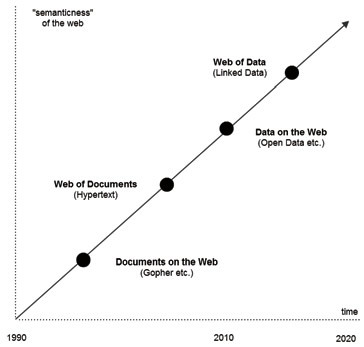 Imagine that the web is like a giant global database. You want to build a new application that shows the correspondence among economic growth, renewable energy consumption, mortality rates and public spending for education. You also want to improve user experience with mechanisms like faceted browsing. You can already do all of this today, but you probably won’t. Today’s measures for integrating information from different sources, otherwise known as mashing data, are often too time-consuming and too costly. Two driving factors can cause this unpleasant situation: First of all, databases are still seen as „silos”, and people often do not want others to touch the database for which they are responsible. This way of thinking is based on some assumptions from the 1970s: that only a handful of experts are able to deal with databases and that only the IT department’s inner circle is able to understand the schema and the meaning of the data. This is obsolete. In today’s internet age, millions of developers are able to build valuable applications whenever they get interesting data. Secondly, data is still locked up in certain applications. The technical problem with today’s most common information architecture is that metadata and schema information are not separated well from application logics. Data cannot be re-used as easily as it should be. If someone designs a database, he or she often knows the certain application to be built on top. If we stop emphasising which applications will use our data and focus instead on a meaningful description of the data itself, we will gain more momentum in the long run. 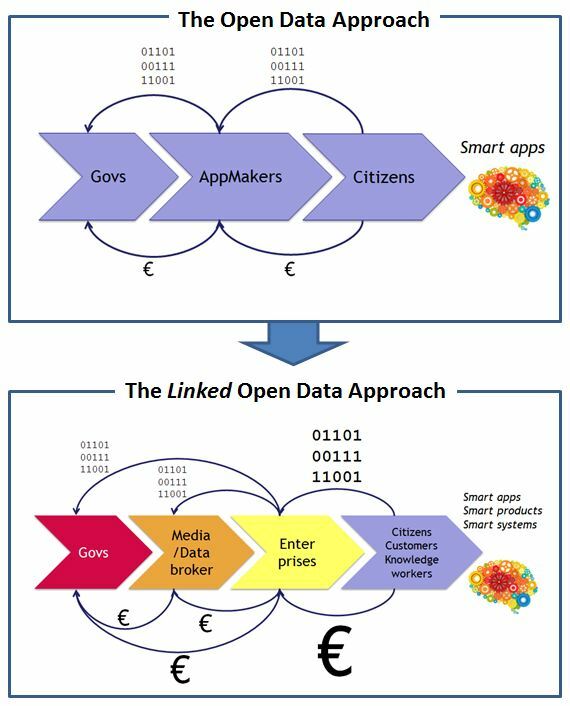 At its core, Open Data means that the data is open to any kind of application and this can be achieved if we use open standards like RDF to describe metadata.